Protect and serve as a part-time Reserve. The Bloomfield Police Reserve Unit provides a volunteer opportunity to serve Bloomfield by working patrol and traffic with Bloomfield Police Officers. The Bloomfield Police Department has ten Reserve Police Officer positions. These Officers serve the community and donate their time, talents and skills to help make Bloomfield the great community we know it can be. Reserve Officers can continue with their careers and become part of a great organization founded upon honor, commitment, courage, and pride. The Bloomfield Police Reserve Unit provides valuable training and experience. Working directly with Bloomfield Police Officers provides a clear perspective of the job responsibilities, performance standards, and job expectations. Reserve Officers are required to complete certification training provided by the Bloomfield Police Department. Upon successful completion of this training, the Bloomfield Police Department assigns work schedules. All Police Reserve Officers must pass all steps listed below to be considered by the Reserve Unit. If selected as a Reserve Officer, you must satisfy all time, service, and any other requirements of the Police Reserve Unit to remain in good standing with the department. A Reserve Officer may be considered for placement in an academy subject to further testing and screening by the Bloomfield Police Department. Are you a U.S. citizen and at least 20 years old? Must not have any felony charges. No DUI conviction in the last three years. Vision must be at least 20/20 uncorrected or 20/20 with corrective lenses. Do you have any serious job related medical impairment? If you meet the above requirements, please fill out an application. 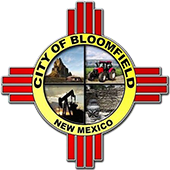 Submit the application to the City of Bloomfield Human Resources Department located at 915 North First Street. The physical agility test will be administered by a Reserve Division recruitment officer at mutually convenient times. To arrange or to speak with a recruitment officer to schedule the physical agility test, contact Sgt TJ Brown If your application has not been submitted, bring it to the physical agility test. This test is broken into four sections containing mathematics, English, reading comprehension, and report writing. The background packet is given to those who successfully complete the physical agility and written tests. The packet must be completed by the applicant and returned to the Bloomfield Police Department Training Division. Qualified applicants are contacted a short time later (2-4 weeks) for an initial interview. Applicants will undergo a complete medical examination by a licensed physician.